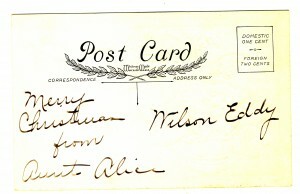 This entry was posted in Postcard History and tagged holiday postcards, Whitney Made postcards by mdianerogers. Bookmark the permalink. 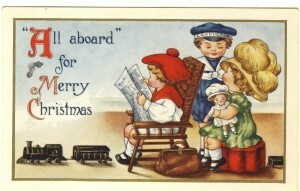 I’ve never collected anything, certainly not postcards – but I must say these are simply wonderful! I loved wandering through them, Diane. Thanks for posting. As for those two dapper young men on Grouse Mountain – are they actually wearing ties???! Yes, indeed they are. I think it’s meant to suggest how close the mountain (and its snow) is to the balmy city of Vancouver.